D List 2010 Blog Hop Party. I am a little late in joining the party, but wanted participate nonetheless! I personally want to welcome all of my readers who are also participating! I am very excited to meet more D-Listers as well as read some pretty amazing blogs. Let me start by introducing myself, my name is Karen. I have been married to my wonderful husband, Jeff, for almost five years. We have actually known each other for ten years and met sitting across the corporate cubicle wall from each other. We are both number crunchers and work for the same company today, just in different buildings. We live in Cleveland, Ohio and just welcomed our beautiful daughter, Jillian, into the world in December 2009. Our daughter is the reason that I believe in miracles. We endured a long journey of infertility and miscarriages. There was a time where I never thought I was going to be a Mommy and had given up hope many times. We are just so blessed to have her in our lives. She has given us so much love and hope. We just couldn't be more blessed. I am loving life right now as a new Mom and love sharing her cute face with my readers! I have been blogging since September 2006. At the time, my husband and I had just begun our journey in starting a family. We were also currently on the hunt for a new home and I thought what a better time to document all of the exciting changes that lay ahead of us. I never realized what a fun and exciting world of blogging was until I started to receive comments on my posts. I would click on the comment which would bring me to a new blog. I would read a post on that blog and find even more bloggers through that post from those comments made. One click on those comments leads you to other blogs. You start to see familiar faces after awhile, who is following who, and who knows who. It's rather quite addicting! I meet new people every day who I would have never met if I had never created my blog. After almost a year of looking for a new home, we decided to build in a Master Planned Community. One that is to eventually include a club house, walking trails, a nature preserve, and a swimming pool. I love our neighborhood and have been patiently waiting for it to grow. Unfortunately, our neighborhood did not escape the downfall of the housing market and all of those wonderful amenities promised to us have now been put on hold. Slowly but surely, empty lots are being filled with new homes, however, at a painfully slow pace. I love blogging about our new home and neighborhood. I hope that it turns into the wonderful place that we were all promised. This weekend our builder is opening up two new fully decorated models that I can't wait to blog about!!! They are planning a huge Grand Opening party this weekend and I plan on attending with my camera! Please be sure to check back and hopefully grab a few decorating ideas of your own! Speaking of decorating, we actually did some of our own this weekend. A new valance was finally added to our kitchen window and yet another pair of drapes were added to our kitchen slider door. I think this is the third pair in two years. I plan on writing a new post on all of changes that I have made to the kitchen as soon as my new camera is up and running which should hopefully be any day now. Stopping by from the D-List party! I am so happy for you that you finally got a baby to keep! I was lucky and didn't struggle with infertility, but had a couple of losses and only brought my son home after some NICU time, so I can partially relate. Can't wait to catch up on the rest of your posts! It's great to meet you! We live in a newer community that is FINALLY down to two empty houses. The neighborhood sat almost ghost town like for the last two years and a couple of homes have been foreclosed on...I feel your pain! Hi there!! New follower from The Blog Party! You have a beautiful family, and your new house is amazing! Planned communities are so nice. I can not wait to see pictures of the Grand Opening this weekend. Hi..came across ur blog. You truly have a great family...be thankful everyday for what u were given. She is adorable. I am new to this blogging world...but it seems great. Hey girl! Stop by my blog tomorrow when you can (Wed.). I have an award for you! It has been so nice reading your blog all this time Karen! It was one of the first ones I found a year and a half ago. I'm still so thrilled for you all. Your adorable little Jillian is a true blessing. She's darling! 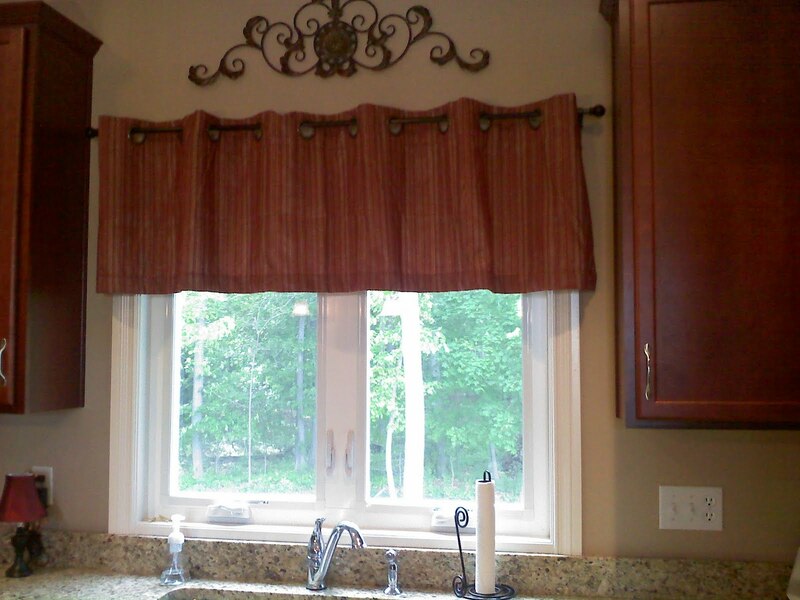 Your new valance and drapes look beautiful. I can't wait to see more photos. I recently found your blog and enjoy reading it! I became a follower today. We have a lot in common - I'm a corporate accountant too, married to another accountant and we just had our first baby in December too! I'm also experiencing all the struggles that come with being a working mom, you said it all so well. Feel free to stop by mine whenever you want. I'm just starting out so it's still in relative infancy, but love any comments or followers. It's www.thislovedlife.blogspot.com. I was also late to the d-listed blog party! Great post! 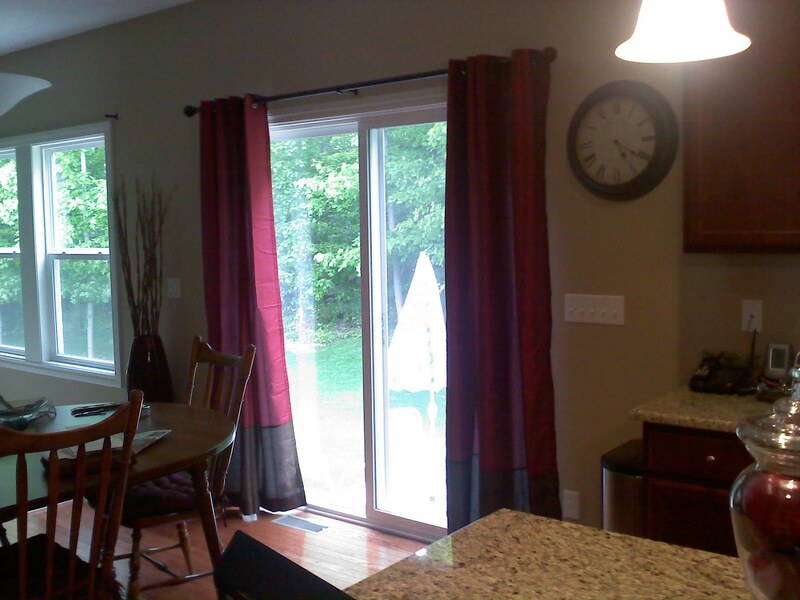 :o) LOVE the new window treatments! I AM SO GLAD YOU JOINED THE PARTY! I got your email the other day too---I will send you one back as soon as this craziness dies down! I LOOOOVE the window covering with the wrought iron piece above it! So beautiful!!!! And your daughter is so dang cute!